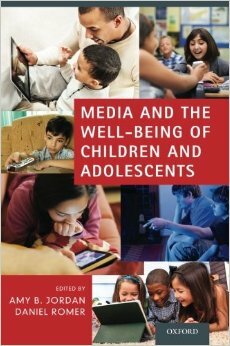 Media and the Well-Being of Children and Adolescents brings together many of the field’s most important scholars and media professionals to present cutting-edge theory and empirical research on both the benefits and risks to youth development. It examines the role that media play in the every-day lives of young people and their families, and considers both traditional media such as television and movies as well as “new” digital media, such as video games, cell phones, and the Internet. The volume is divided into four parts. Part One provides up-to-date trends on children and adolescents’ access to media in the home, as well as the time they spend with television, computers, and the Internet. Part Two presents research that highlights the potentially negative impact of age-inappropriate or excess media use on children’s physical, cognitive, social, and emotional well-being. Part Three offers examples of how media enhance children’s education, health, and social connections. Part Four explores implications for the creation of high-quality, enriching content that speaks to the needs and interests of young people today. The volume’s interdisciplinary perspective acknowledges the many controversies surrounding the effects of media on youth, and offers a balanced view of the challenges and opportunities that media represent for healthy development. The book is intended to be a resource for students and scholars working within education, developmental psychology, public health, and communication. Additionally, it speaks to media professionals who seek to create content that enriches the lives of children and adolescents.